It drives me crazy that people actually try to make New Year Resolutions on January 1 after just getting through a very exhausting, exciting and busy time of the year. There are so many reasons why the research shows us that over 80% of New Year resolutions will not really take place. Even with this evidence, the media will bombard us with many messages to focus on our goals for 2016 now! January should be a time for reflection. I am fine with setting goals in February or March but more importantly some other steps need to happen first! 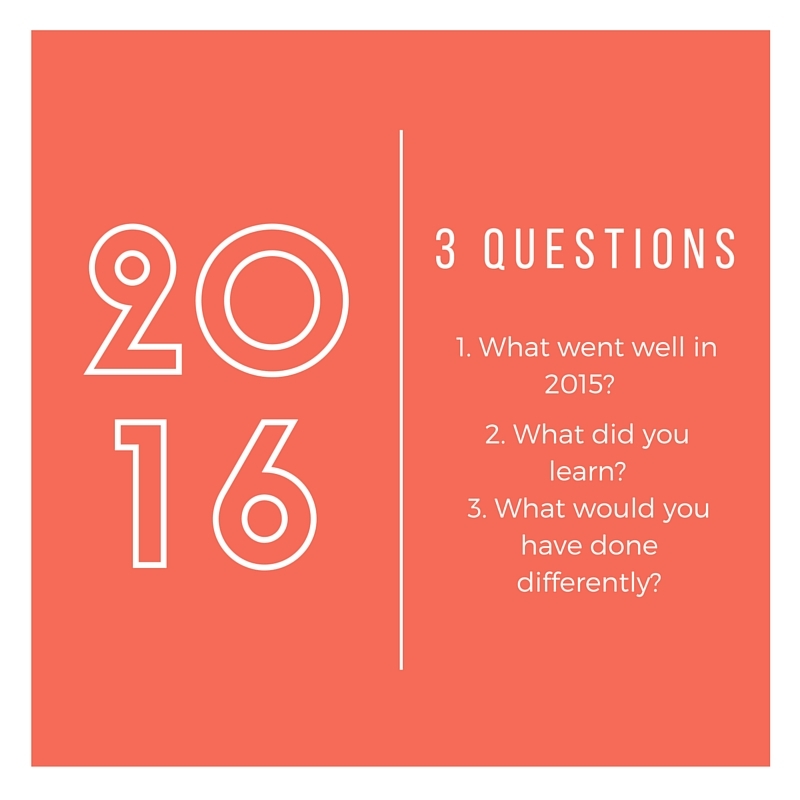 I encourage you to ask yourself three questions that I focus on for the month of January. The first one is, “What went well in 2015? What are some of your career and personal accomplishments that you’re really excited about? Start the year by focusing on what went well and celebrate the good in your life! The second question is, what did you learn? Sometimes a specific situation will make you realize, it may be time for an important decision or a change. The final question is, what would you have done differently? This third question will begin to prepare you for actually having some 2016 goals that can really make an impact for your success and happiness. I force myself to take out my journal every January and answer these questions. I will share my reflections in January. Life is short, take time to reflect, recharge and figure out how you want your year to be! Happy 2016.